Swamp Kauri Facts - Ancient Kauri Information. Swamp Kauri is a unique phenomenon that occurred towards the end of the last ice age. This unexplained event buried Kauri Trees that were already upwards of 2000 years old. It buried large areas of forest throughout New Zealand in Peat Swamps. This violent event happened about 45,000 to 50,000 years ago and buried these trees deep in a peat or bog wood. The result was that inside the peat the Kauri tree wood remained perfectly preserved in a peat cocoon for hundreds of years. This peat preserved the Kauri wood because a combination of the acidic and anaerobic conditions within it. The size of these trees was massive. Some of them were already large 2000 years old trees with a surrounding girth up to 40 feet and a height of 230 feet, weighing over 100 tonnes. Radiocarbon dating has tested some of these preserved Kauri Trees as being 30,000 to 50,000 years old. This makes it the oldest “usable” wood on earth. One of the reasons that Swamp Kauri made products can be more expensive than other woods, is the difficulty involved in retrieving the logs from the Peat Bog. It is very technical and involves the use of expensive large machinery over long periods of time. Swamp Kauri can be difficult to work with as it has been preserved in water for so long. It is a soft wood to work with and difficult to dry and finish properly for longevity. Kauri gum was dug up from the ground where ancient forests existed This was exported for years to make rapid drying varnishes. Currently there is a large demand in China for our Swamp Kauri wood. The age of the wood is particularly attractive to overseas buyers. We do currently export this wood all around the world, but as stocks begin to dwindle this will stop. Probably sometime in the next 10 years. 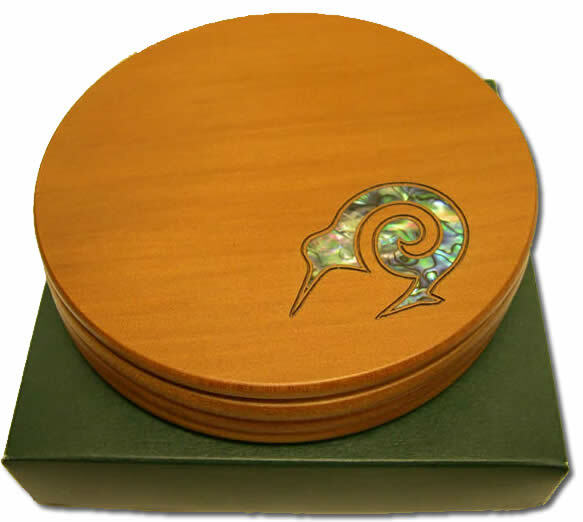 Here in our store and online we have swamp Kauri coasters and chopping boards available for purchase.